There really is no bad time of year to visit Denver. The city has more sunny days than Miami – 300 a year – and its mile high altitude makes summers pleasantly warm with cool nights. Winters are mild with average highs of 45 degrees which allows golf courses and outdoor cafes stay open year around. No matter what season you decide to visit, there is no shortage of activities to take part in. Best time to visit Denver for avid skiers is between late November and the end of March, while the best time to visit Denver for hikers, river rafters or mountain bikers is between May and October. The best time also means the busiest time, so if you prefer to avoid crowds and high full season prices, aim for the ‘shoulder seasons’ which are April-May and September-October. January is one of the coldest months of the year in Denver, with average high temperatures around 44°F (7°C) and average low temperatures of 17°F (-8°C). January is a great month for skiing and other winter sports. In February, temperatures in Denver are about one degree warmer than in January, with 7 inches (18 cm) of snowfall. Denver weather in March: Temperatures are slightly higher in March which is the month with the most snowfall of 11 inches (28 cm), making it a great time to visit for skiers and snowboarders. In April, average low temperatures hover just above 34°F (1°C). High temperatures are 61°F (16°C). 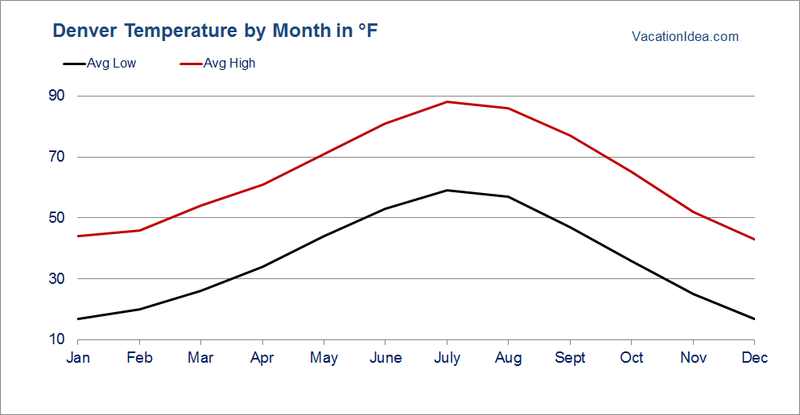 May sees a steady increase in temperature with an average high of 71°F (20°C) as spring goes into full swing. During this time, average snowfall drops to 1 inch (2.5 cm) and is replaced with the highest precipitation of the year with an average of 2 inches (61 mm). Denver weather in June: Temperatures continue to rise in June with the coming of summer as Denver experiences average lows of 53°F (11°C) and average highs of 81°F (27°C). Though precipitation levels drop in comparison to the previous month, it’s still a good idea to carry an umbrella with an average of 8 inches (46 mm) of rainfall. 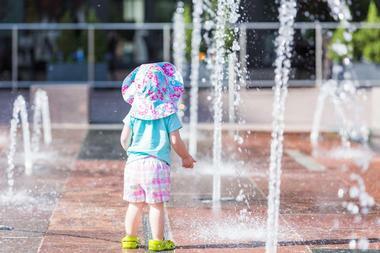 July is the hottest month of year in Denver with average high temperatures of 88°F (31°C). Low temperatures are 59°F (15°C). Despite the heat, the summer months are some of the most popular times of the year for tourists. In August, temperatures are slightly lower with summer nearing its end. Average temperatures range between 57°F (14°C) and 86°F (30°C). September marks the beginning of autumn with cooler temperatures. Many people flock to Denver at this time to take part in the festival season. Average high temperatures will reach just a bit over 77°F (25°C) and average low temperature is 47°F (9°C). A bit of snowfall can also be expected. Denver weather in October: Average temperatures drop further in October with a high of 65°F (18°C). Snowfall also makes a jump to 4 inches (10 cm). Sunny days throughout the month can still be expected, but stay prepared for steep declines in temperatures in the evening. In November, snowfall increases to 9 inches (30 cm), preparing the slopes and mountains for snowboarders and skiers. High temperatures are 65°F (11°C) while low temperatures drop to 25°F (-4°C). December is the coldest month of the year in Denver (one degree colder than January), with an average high of 43°F (6°C). Snowfall holds steady at 9 inches (30 cm) as winter sports enthusiasts hit the slopes. Best months to visit for skiing in Colorado are January through March while fall foliage displays peak in September and October. If you enjoy gardens, the Denver Botanic Gardens are a must-see attraction in spring, summer and fall. Best times for hiking in Colorado are late spring through early fall. 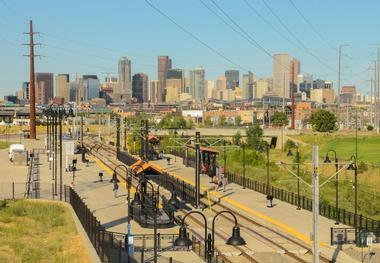 There are many ways to get to Denver such as by plane, train, car or bus. If traveling to Denver by air, you will arrive at Denver International Airport, which is an easy 40 minute drive from downtown Denver. You can take a bus, a taxi, a limousine or rent a car to go to town. Traveling by train is easy with Amtrak as it passes through Denver on the way from Chicago to San Francisco and from Chicago to Los Angeles, with many stops in between. Train travel gives you a great opportunity to see the spectacular views you will be passing through. With an excellent road system in Colorado that connects to interstate highways from all directions, driving is a pleasant, convenient and economical option. Having your own, or rented, car will also allow you to make easy excursions to the surrounding areas. Another great option is to take a Greyhound bus, the only nationwide bus line. It is an easy and economical way to travel to Denver, and with 3100 service locations all over the United States, you can arrive from practically anywhere. Road Reward members can receive discounts and even free trips when they travel frequently. Taking the Airport Rail along the new rail line from Denver International Airport to Union Station in downtown Denver takes only 37 minutes. The trains leave every 15 minutes at peak hours and makes six stops along the way. Built in 1914, Union Station is a beautiful newly renovated Beaux-Arts building. In addition to being a travel hub, it is also a fun place to hang out, with many hip bars, restaurants, shops and even a boutique hotel. From Union Station, visitors can use light rail, Amtrak train, regional and local buses and taxis to travel on. 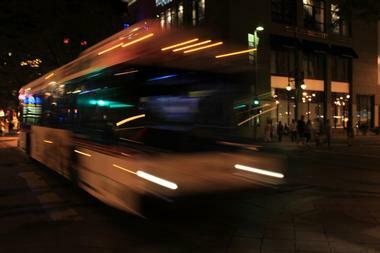 The free 16th Street Mall shuttle, also called the MallRide, and free MetroRide downtown buses connect Union Station with most Denver downtown hotels. If you are staying at the stylish Crawford Hotel, the property now offers the University of Colorado A Traindirect connection to the airport. With over 150 bus routes, you can get practically anywhere in Denver by bus. Public transportation is the easiest and the most economical way to get around the city to explore and see the sights. Buses require exact change to ride, and it is good to note that drivers cannot make change. To save time and money, you can get local or regional bus passes, and depending how long your trip is, you can get either a daily, weekly or monthly pass. Visit the RTD (Regional Transportation District) website to purchase passes and get information on bus routes, schedules and fares. Additionally, passes can be purchased at select stations and tourist information centers. You will recognize bus stops by their red and white signs, and bus numbers are located on the front of the bus above the windshield. Once you’re on the bus, you can sit back and relax until the driver announces your stop, you may also need to pull the “Stop Requested” cord above your head. You will find that in most cases the return bus stop is just across the street from the stop you got off at. 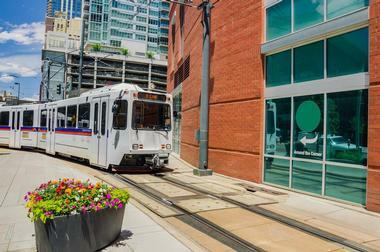 The Light Rail is part of the Denver public transportation system, which means that if you bought a bus pass it is good for the light rail as well. To buy a ticket, there are vending machines at each station. There are six light rail lines that stop at 36 stations and cover 47 miles. Check the location of the stops, routes and schedules on the RTD website, or at the Tourist Center. The Light Rail stops usually have interesting design and are full of public art, so have a look around while you are waiting for your train. You can also take the Light Rail to the airport. with a credit card at all B-cycle station. This pass boasts unlimited free trips up to 30 minutes at a time. To get started, take a bike from the station nearest to you and drop it off at any other participating station when you are done. 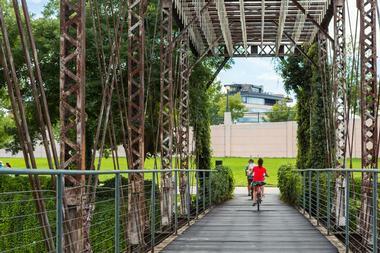 The bikes are three-speed, sturdy, bright red and come with a light, a lock and a wire basket. There is no better way of getting a feel for Denver than by walking its streets and parks, but when your feet get tired, you might want to try Mile High Pedicabs. These are tricycle-taxis that look a bit like Rickshaws that have been around Denver since 1988. There is even a new, electrical version calle deTuks. 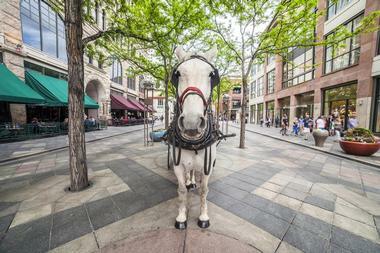 A more romantic alternative transportation is horse and carriage, which you can find at the 16th Street Mall. For a bit more freedom and speed, you can rent a hip Vespa-looking scooter from the ScooTours Denver and zoom around Denver and its attractions. They also offer guided scooter tours. Whether you are a true foodie or a meat and potatoes kind of person, it is very likely that you will find the right kind of restaurant in Denver. If you want to try a bizarre local delicacy, don’t miss Rocky Mountain Oysters, which are not really oysters but rather deep-fried bull’s testicles. You will also find excellent beef and game, and an abundance of Mexican restaurants. While not as food-trendy as Boulder, Denver is very much into vegetarian, locally produced and organic food. There are some excellent vegetarian restaurants, and most restaurants are proud to advertise that they cook with local and/or organic ingredients. Keep in mind that most Denver restaurants close at 10 pm (11 pm on weekends). 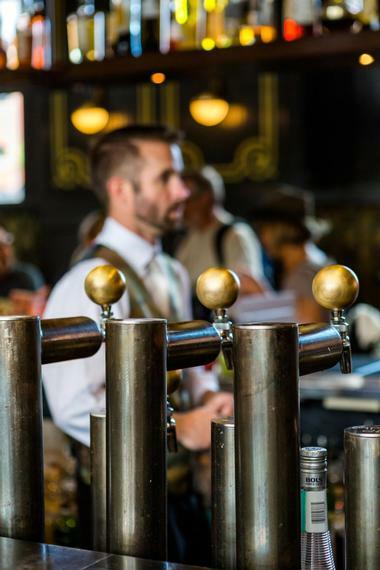 Denver is famous for its microbreweries and brewpubs and if you are a beer fan, time your visit with the Great American Beer Festival, held in September. This festival, known as “America’s Oktoberfest,” is the premier U.S. beer festival and competition. Read our article: Best Romantic Restaurants in Denver. The area around Santa Fe Drive traditionally developed as a Hispanic neighborhood, with colorful murals and Mexican restaurants. Today, it is a thriving Bohemian artist neighborhood with great galleries, museums, restaurants and cantinas, all of which exhibit the Latin influence of the district. It is also the location of two popular events - ‘First Friday Art Walks’ at Museo de las Americas and the multi-gallery art preview ‘Third Friday Collector's Previews. 'Both of these events arean opportunity for art lovers to meet well-established and up-and-coming artists and gallery owners. Su Teatro Cultural and Performing Arts Center, one of very few Latino theaters in the United States, is also located in the Santa Fe neighborhood. Other attractions in the neighborhood include the University of Denver’s Center for Visual Arts, Colorado Ballet, the Buckhorn Exchange, the oldest restaurant in Denver and some of the best micro-breweries. Most of Denver museums and galleries are located within the Golden Triangle Museum District, with the beautiful golden dome of the Colorado State Capitol in its heart. With 50 galleries, museums, art studios, restaurants, clubs, cafes, bistros and live music at the Civic Center Park, it is the beating heart of the city. Learn more about the history of Colorado at the History Colorado Center, see some previously hidden abstract art at the Clyfford Still Museum, or let Denver Story Trek show you some of the Denver’s most interesting historic spots in the Golden Triangle/Capitol Hill and tell you stories of its rich heritage. 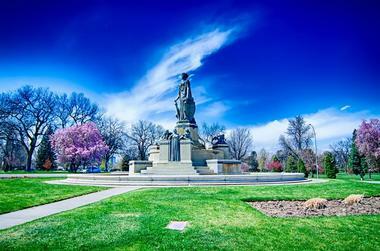 There is something in the spirit of Denver that has always attracted artists, adventurers and nature lovers. 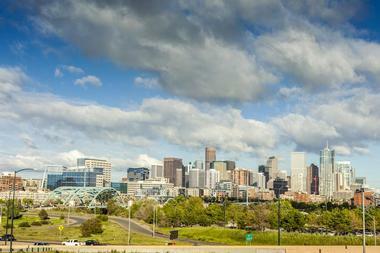 Everything that makes the Mile High City what it is can be found in one square mile of its downtown core. 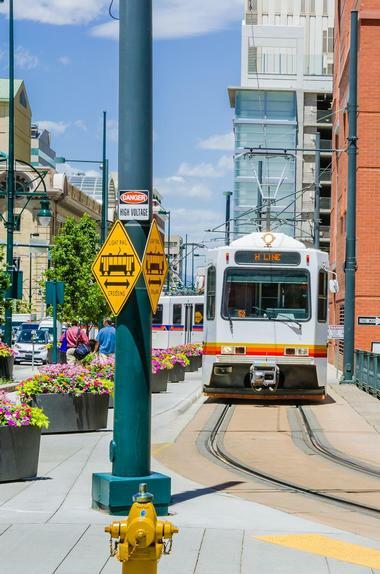 The best way to see everything is by hopping on and off the free 16th Street Mall shuttle that weaves through this rich neighborhood. Those looking for some aquatic fun can kayak on the Platte River, splash around at Elitch Gardens Theme & Water Park or visit the Downtown Aquarium. History buffs should visit the renowned American Indian and Western collections at the Denver Art Museum and check out the lovely Victorian architecture at the historic Lower Downtown. If heading to the Colorado Convention Center, the popular Blue Bear sculpture is a must see. The Denver Pavilions offers many fabulous brewpubs, restaurants, galleries and theatres. Denver is a walk able city even in the winter and by strolling through its colorful neighborhoods with their own unique vibe, you can get a sense of what makes Denver tick. Check out the beautiful Victorian mansions in ethnically diverse Five Points which is also home to Black American West Museum, Cleo Parker Robinson Dance and some great breweries such as Spangalang Brewery and Our Mutual Friend. Be sure to visit the ethnic markets and restaurants in South Federal, Denver’s best restaurant neighborhood. Enjoy the slower pace of historic downtown Littleton with its turn-of-the-century structures and quaint antique shops. Take a stroll through the peaceful greenery of Washington Park, with its two lakes, two flower gardens and its shady tree-lined paths. 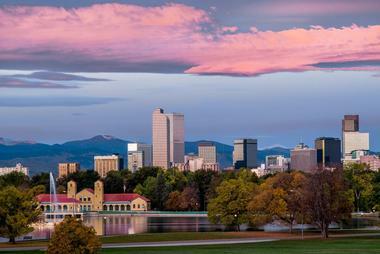 There are many reasons to choose Denver as your wedding location. This sophisticated city has an incredible range of venues with the magnificent backdrop of the Rocky Mountains. There are an abundance of fantastic restaurants, great transportation and a large range of hotels. If you’ve always dreamed of getting married on top of the mountains, the Lodge at Breckenridge is a mountain top oasis. If you prefer a rustic setting, The Barn at Raccoon Creek offers rustic décor mixed with ultimate luxury and mountaintop charm. Those looking for a more intimate setting will love the Pelican Lakes Golf & Country Club, where you can get married on your own private island. Art lovers will be thrilled to get married at the classy and stylish Artwork Network Gallery, with beautiful artwork acting as a backdrop. Lastly, if you really want something different, you can even get married at Denver's Downtown Aquarium. 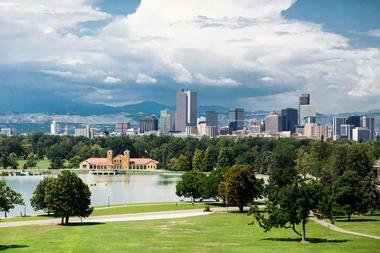 Whatever your budget, taste or reason for coming to Denver may be, there is a perfect accommodation for you. From quaint historic Bed and Breakfast’s to luxury mansions, inns and modern hotels, there are plenty of options downtowner in nearby villages and towns. If you love the historic vibe, Castle Marne, built in 1889, will charm you with its fantastic architecture and lovely rooms filled with antiques. If you prefer an intimate, cozy setting, the Gregory Inn in the heart of Lower Downtown offers a comfortable, homey atmosphere. Those looking to treat themselves with ultimate luxury will enjoy downtown Denver’s crown jewel, Brown Palace, built in 1892. If you prefer the modern amenities of a large hotel, Sheraton Denver Downtown, located on the 16th Street Mall, or nearby Hyatt Regency Denver are what you are looking for. Kimpton Hotel Monaco Denver is a great pet-friendly option. Once in Denver, stop by one of the tourist centers and talk to knowledgeable locals to find out everything you need to know about the city. There is one at the airport, at the Convention Center or downtown. The new downtown super modern interactive Tourist Information Center offers excellent staff, all sorts of brochures, as well as interactive screens where you can find out what to do and see in Denver. They also sell maps, AAA tour books and RTD passes. Make sure to ask about the Mile High Culture Pass, a pass that will allow you access to a range of attractions such as museums or bike-sharing programs at greatly reduced prices. Another option is to download the Visit Denver app on any smart phone to view attractions, activities, transportation details and more, or subscribe to the monthly Discover Denver newsletter to see the latest events and updates. A city known for its mountain-town lifestyle, landmark architecture, and surging art and culinary scene, Denver is a thriving urban epicenter that also serves as the doorstep to the Rocky Mountains. Will visitors still find a Stetson walking along the 16th Street Mall? Sure, but this humble mountain town turned bustling cosmopolitan capital city also boasts a vibrant nightlife scene, several craft breweries, historic sites like Union Station, and an array of local attractions. But the true city highlights still have everything to do with the great outdoors, hiking, cycling, skiing, camping, fishing, and rafting to name a few. With over 16 million people visiting this natural wonderland each year, it shouldn’t surprise anyone that they’d have a wealth of accommodations to choose from. Here are the top 25 places to stay in Denver. The ART, a hotel is an award-winning, wonderfully futuristic looking, art-curated accommodation located in the Capitol Hill neighborhood of Denver, Colorado. The hotel’s guests will be within walking distance of popular Denver attractions that include the Clyfford Still Museum, the Denver Art Museum, and Civic Center Park. Guests will also have convenient access to the city’s impressive art galleries, trendy boutiques, and award-winning gastronomy. Rooms have large picture windows, are spacious and bright, feature contemporary art, provide splashes of bright color throughout, and offer chic modern furnishings. Most of the rooms also have breathtaking Rocky Mountain or downtown Denver views. The Brown Palace Hotel and Spa, Autograph Collection is an iconic luxury hotel located in the heart of Denver, Colorado. The hotel’s guests can easily reach Denver’s trendy neighborhoods of LoDo and Cherry Creek, where they can experience premier shopping, chic art galleries, and acclaimed gastronomy. 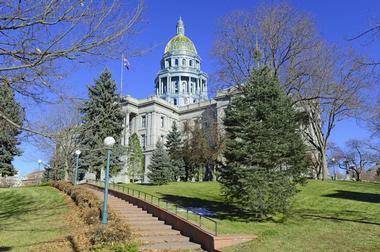 They’ll also be able to peruse area attractions that include the Colorado State Capitol, Denver Zoo, and the Colorado Convention Center. Luxurious rooms are spacious, elegantly decorated, and feature high-end furnishings. They provide opulent amenities including marble features, plush terry bathrobes, and rainfall showers. Hotel perks include a fitness center, on-site dining, and a rejuvenating spa. 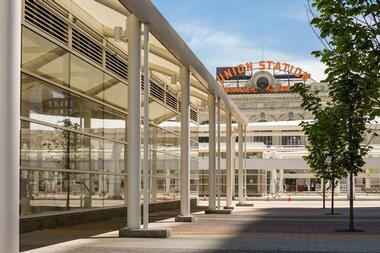 The Crawford Hotel is located in the historic Denver Union Station and is one of Denver, Colorado’s most iconic hotels. The hotel’s guests will be within walking distance of stylish boutiques, trendy art galleries, and outstanding restaurants. There are several area attractions for guests to explore that include the Museum of Contemporary Art Denver, Elitch Gardens Theme & Water Park, and the Downtown Aquarium. The luxury hotel offers Art Deco design in their Pullman rooms, tasteful Victorian touches in their Classic rooms, and exposed beams and brick in their Loft rooms. Room amenities include private bathrooms with signature C.O. Bigelow bath products. The Curtis Denver – a DoubleTree by Hilton Hotel is situated near the historic LoDo neighborhood of downtown Denver, Colorado. Depending on the time of year, guests will be able to conveniently catch a Denver Broncos game at Sports Authority Field at Mile High, a Colorado Rockies game at Coors Field, or a Denver Nuggets game at the Pepsi Center. The hotel’s guests will be within walking distance of charming boutiques, interesting art galleries, and celebrated restaurants. The rooms are spacious and colorful, elegantly decorated, and feature chic furnishings. Room amenities include coffeemakers, 42” flat-screen TVs, and complimentary high-speed Internet. Travelers will find The Maven Hotel at Dairy Block situated in the trendy LoDo neighborhood of Denver, Colorado. Guests will be within walking distance of LoDo’s many art galleries, eclectic boutiques, and trendy restaurants. 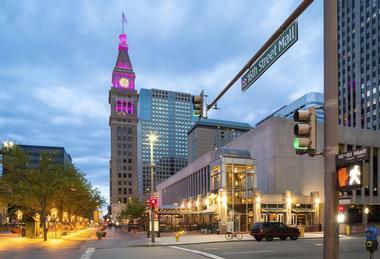 Denver offers a variety of attractions for hotel guests to explore that include the 16th Street Mall, Denver Art Museum, and the Colorado Railroad Museum. Rooms are spacious and bright, offer stylish modern design, feature colorful contemporary artwork, and provide loft-style experiences. Room amenities include opulent bathrooms, complimentary Wi-Fi, and flat-screen TVs. The hotel offers its guests sensational on-site dining and a modern fitness center. First opening its doors in 1891, The Oxford Hotel is a wonderfully historic accommodation located in the trendy LoDo neighborhood of Denver, Colorado. Just steps from the hotel’s front doors guests can explore a variety of boutique shops, trendy art galleries, and top-notch restaurants. The hotel’s guests will have convenient access to local attractions that include Larimer Square, Coors Brewery, and the Denver Museum of Nature & Science. The rooms are bright and airy, elegantly decorated, feature original artwork, and are furnished with hand-selected antiques. Room amenities include well-appointed bathrooms with claw foot tubs, complimentary Wi-Fi, and flat-screen TVs. Situated near the historic LoDo neighborhood, travelers will find the sophisticated Magnolia Hotel Denver in downtown Denver, Colorado. Depending on the time of year, guests will easily be able to catch a Colorado Rockies game at Coors Field, or watch a Denver Broncos game at Sports Authority Field at Mile High. The hotel’s guests will appreciate being within walking distance of LoDo’s charming boutiques, chic art galleries, and eclectic gastronomy. The rooms have beige walls with hanging contemporary art, plush bright white bedding with tufted beige leather headboards, and stylish modern furnishings. Room amenities include private bathrooms, flat-screen TVs, and complimentary Wi-Fi. The Ritz-Carlton, Denver is a luxurious hotel situated on the edge of the historic LoDo neighborhood in downtown Denver, Colorado. The hotel is ideally situated for its guests to reach popular Denver attractions that include the Buffalo Bill Museum & Grave, Denver Union Station, and City Park. Guests will be just steps from LoDo’s sensational restaurants, vibrant art galleries, and trendy boutiques. The rooms are spacious and bright, and tastefully decorated with stylish, contemporary furnishings. Guests will enjoy opulent marble bathrooms, refreshing rainforest shower heads, and plush terry cloth robes. Hotel amenities include the Elway’s restaurant and a rejuvenating spa. The Warwick Denver offers its guests a true urban retreat in Denver, Colorado’s charming Uptown neighborhood. They’ll enjoy picturesque views of the Mile High City’s skyline from their room’s balcony, blending modern luxury with warm, local charm. They can enhance their experience with fresh, sensational Colorado cuisine from Randolph’s Restaurant and Bar. They’ll enjoy state-of-the-art amenities that include free use of Warwick Bicycles, a fitness center, and a heated rooftop pool. The Executive Suites offer mid-century modern design while the Classic Rooms provide chic contemporary elegance. Rooms are equipped with flat-screen TVs, coffeemakers, plush bathrobes and slippers, and complimentary Wi-Fi. The well-appointed AC Hotel by Marriott Denver Downtown is situated near the historic neighborhood of LoDo in the bustling city of Denver, Colorado. The hotel’s guests will appreciate being within walking distance of several attractions that include The Colorado Convention Center, Paramount Theatre, and the Denver Center for the Performing Arts. They’ll also be able to reach the LoDo neighborhood by foot where they can explore a variety of charming boutiques, impressive art galleries, and highly touted restaurants. The rooms are spacious and bright, and offer sleek modern design and stylish contemporary furnishings. Room amenities include flat-screen TVs, complimentary Wi-Fi, and oversized windows. The tech-savvy and modern Aloft Denver Downtown hotel is located in the heart of Colorado’s bustling capital city of Denver. The hotel’s guests will be within walking distance of the city’s historic LoDo neighborhood where they can explore chic art galleries, award-winning restaurants, and stylish boutiques. Guests will also have convenient access to local attractions that include the Denver Art Museum, Confluence Park, and the Denver Zoo. The rooms provide sleek, colorful, modern design, are bright and airy, and feature contemporary furnishings. Rooms are equipped with well-appointed private bathrooms, 40” flat-screen TVs, high-speed complimentary Internet, coffeemakers, and floor-to-ceiling windows. Travelers will find the luxurious 5-star Four Seasons Hotel Denver located in the heart of the Mile High City of Denver, Colorado. Situated on the edge of the historic LoDo neighborhood, the hotel’s guests will be within walking distance of award-winning restaurants, chic art galleries, and charming boutiques. Guests will have convenient access to area attractions including the Denver Botanic Gardens, City Park, and the Denver Museum of Nature & Science. The rooms are spacious, elegantly decorated with earth-tone colors, feature stylish designer furnishings, and offer modern amenities. Select rooms provide opulent touches that include soaking tubs with marvelous city views and fireplaces. The luxurious Grand Hyatt Denver hotel is situated near the North Capitol Hill neighborhood in the heart of Denver, Colorado. The hotel’s guests will have convenient access to Denver’s stylish boutiques, impressive art galleries, and epicurean restaurants. Guests will have a variety of attractions to explore in the Mile High City that include the History Colorado Center, Buffalo Bill Museum & Grave, and the Clyfford Still Museum. The rooms are spacious and bright, tastefully decorated, and feature chic contemporary furniture. Room amenities include private bathrooms, 40” flat-screen TVs, and complimentary Wi-Fi. The hotel offers a sparkling pool and fitness center. HALCYON, a Hotel in Cherry Creek is located in the wonderfully charming neighborhood of Cherry Creek, in Denver Colorado. The hotel’s guests will be within walking distance of Cherry Creek’s premier shopping district, impressive art galleries, and award-winning restaurants. The hotel provides a central hub for its guests to explore attractions that include the U.S. Mint, Denver Museum of Nature & Science, and the Four Mile Historic Park. The well-appointed rooms are elegantly designed, bright and airy, and offer stylish contemporary furnishings. Room amenities include plush bathrobes, Nespresso machines, and Smart TVs. The hotel offers a fitness center and rooftop pool deck. Travelers will find the Hilton Denver City Center situated near the vibrant North Capitol Hill neighborhood of Denver, Colorado. The hotel offers its guests easy access to area attractions that include the Colorado Railroad Museum, Confluence Park, and the Red Rocks Park & Amphitheatre. Guests will appreciate the convenience of being within walking distance of award-winning restaurants, chic art galleries, and charming boutiques. Accommodations are warm and inviting, elegantly decorated with earth-tone colors, and offer contemporary furnishings. Rooms are equipped with complimentary Wi-Fi, 42” flat-screen TVs, and private bathrooms. Hotel amenities include on-site dining, fitness center, and a sparkling pool. This charming boutique hotel features a large colorful artist’s mural on its side that blends nicely into the trendy LoDo neighborhood of Denver, Colorado. The NATIV Hotel Denver’s guests will have unrivaled access to the neighborhood’s impressive art galleries, charming boutiques, and cozy cafes. The city of Denver offers a variety of attractions for visitors to enjoy that include Confluence Park, the Denver Art Museum, and the Cherry Creek Shopping District. The rooms have dark hardwood floors, beige walls, bright white bed linens, tufted leather headboards, and chic contemporary furnishings. Room amenities include opulent private bathrooms, flat-screen TVs, and coffeemakers. Travelers will find the Homewood Suites Denver International Airport hotel located in the Gateway Business Park in Denver, Colorado. Business travelers will appreciate the hotel’s close proximity to several corporations, their training facilities, and the Denver International Airport. The hotel offers its guests convenient access to area attractions that include the Rocky Mountain Arsenal National Wildlife Refuge and the Wings Over the Rockies Air & Space Museum. Well-appointed suites offer separate sleeping and living areas, feature fully-equipped kitchens, and provide modern amenities for superior comfort. The hotel offers its guests a business center, fitness center, sparkling pool, and daily complimentary breakfast. The sophisticated Hotel Indigo Denver Downtown is located in the heart of the historic LoDo neighborhood of Denver, Colorado. The hotel’s guests will appreciate its unrivaled access to the neighborhood’s impressive art galleries, charming boutiques, and award-winning gastronomy. Hotel Indigo is perfectly situated for its guests to reach area attractions that include Coors Field, the Museum of Contemporary Art Denver, and the Pepsi Center. Rooms have exposed cement ceilings and columns, hardwood floors, large gray area rugs, bright white bed linens, mountain portrait accent walls, and large picture windows. Room amenities include private bathrooms, flat-screen TVs, and complimentary Wi-Fi. This charming boutique hotel is housed in a historic Renaissance Revival building from the 20th century located in downtown Denver, Colorado. Hotel Teatro’s guests will be within walking distance of the historic LoDo neighborhood where they can explore charming boutiques, impressive art galleries, and award-winning restaurants. The hotel provides the ideal location for its guests to explore area attractions including the Denver Botanic Gardens, Denver Union Station, and Elitch Gardens Theme & Water Park. Rooms are elegantly decorated with chic furniture, nautical and earth-tone colors, and tufted leather headboards. Room amenities include 24-hour room service, 50” flat-screen TVs, and Keurig coffeemakers. Hyatt Place Denver/Cherry Creek is a well-appointed modern hotel located in the city of Glendale – an enclave of Denver, Colorado. The hotel provides its guests convenient access to Denver’s trendy Cherry Creek neighborhood where they can explore high-end shops, chic art galleries, and tantalizing restaurants. The hotel’s guests will appreciate easy access to popular Denver attractions that include Larimer Square, the Clyfford Still Museum, and the Colorado State Capitol. Upscale rooms are spacious and bright, elegantly decorated, and feature contemporary furnishings. Room amenities include private bathrooms with granite vanities, cozy sofa or sofa-sleepers, 42” HDTVs, and complimentary Wi-Fi. The Hyatt Regency Denver at Colorado Convention Center provides a centrally located accommodation for travelers visiting Denver, Colorado. The hotel’s guests will be within walking distance of cozy cafes, award-winning restaurants, and charming boutiques. Guests will love the hotel’s close proximity to area attractions that include Confluence Park, the Denver Zoo, and City Park. Rooms are bright and airy, elegantly decorated, and offer contemporary furnishings. Many of the rooms feature large picture windows offering breathtaking views of the city and surrounding Rocky Mountains. Room amenities include well-appointed private bathrooms, plush Hyatt Grand Beds, complimentary Wi-Fi, and flat-screen Smart TVs. The wonderfully sophisticated Kimpton Hotel Born is located in the historic LoDo neighborhood of Denver, Colorado. The hotel’s guests will appreciate being within walking distance of stylish boutiques, impressive art galleries, and award-winning gastronomy. The hotel is ideally situated for its guests to conveniently explore attractions that include the Elitch Garden Theme & Water Park, Coors Brewery, and the History Colorado Center. The rooms are spacious and bright, provide floor-to-ceiling windows, have knotty pine paneled accent walls and ceiling canopies, and feature chic contemporary furnishings. Room amenities include well-appointed private bathrooms, plush bedding, 50” LED flat-screen TVs, and complimentary Wi-Fi. The luxurious Kimpton Hotel Monaco Denver is situated near the edge of the historic LoDo neighborhood in the Mile High City of Denver, Colorado. The hotel’s guests will be within walking distance of LoDo’s award-winning restaurants, stylish boutiques, and impressive art galleries. There are several attractions within minutes of the hotel for guests to explore that include the U.S. Mint, Denver Zoo, and the Blue Bear at the Colorado Convention Center. The rooms are spacious and bright, use neutral tones with splashes of mineral blue, feature large windows and tufted leather headboards, and offer chic contemporary furnishings along with opulent amenities. Situated just blocks from the trendy LoDo neighborhood, travelers will find the Renaissance Denver Downtown City Center Hotel in the heart of Denver, Colorado. The exterior columns give the building a grand and stately appearance that is echoed throughout the rest of the property. Guests will appreciate the hotel’s 16 beautiful murals created by Allen Tupper True, an iconic western muralist, which can be viewed around the hotel. Guests will be within walking distance of award-winning restaurants, chic art galleries, and charming boutiques. The rooms are spacious, elegantly designed, and offer contemporary furnishings. Room amenities include private bathrooms, complimentary Wi-Fi, and flat-screen TVs. The Residence Inn by Marriott Denver Cherry Creek is situated along the shimmering Cherry Creek in Denver, Colorado. Guests will appreciate the hotel’s nearness to popular area attractions that include the Cherry Creek Shopping District, Four Mile Historic Park, and the Denver Zoo. The hotel’s guests will be within walking distance of a few appetizing restaurants and charming cafés. Residence Inn offers accommodations ranging from Studio Suites to Two Bedroom Suites, all of which provide fully-equipped kitchens. The rooms are tastefully decorated, offer contemporary furnishings, and provide modern amenities. Additional hotel perks include a fitness center, indoor pool, and rejuvenating whirlpool.